Few topics in dentistry evoke emotion or create confusion like occlusal-related topics. Concepts for making bite records for crown and bridge reconstruction are no different and can be oversimplified or overcomplicated depending on the clinical scenario. Treatment involving a single crown requires less sophistication in bite recording and is generally made using a conformative or existing intercuspal recording (MIP). Recording a bite for preparations in a free end quadrant can be more complicated because there are no occlusal stops in the quadrant being restored. However, there are generally enough existing intercuspating teeth to enable a bite record that does not require assignment of a new vertical dimension or a condylar position. When a full arch has been prepared and there are no longer any occlusal anatomical landmarks present, it may be challenging to arbitrarily assign a vertical dimension and condylar position and accurately record it. The stick "bite" is a quick and easy reference that is a useful tool for the technician to have a visual reference to the esthetic plane or incisal edge position of the upper centrals. FLAT OR WRAP WHEN PREPARING ANTERIOR TEETH FOR CERAMIC VENEERS ? Will the veneer be bonded to enamel or dentin on the facial aspect of the tooth? Are there functional or parafunctional issues that need to be addressed? Are there structural compromises in the tooth? Is there a significant morphology change occurring, retroclining or proclining tooth position? Express Dental Lab now fabricating Emax pressed abutments Inside Dental TechnologyFebruary 2013, Volume 4, Issue 2Published by AEGIS CommunicationsUsing Lithium-Disilicate Hybrid Abutments for Implant RestorationsPressable IPS e.max® implant. 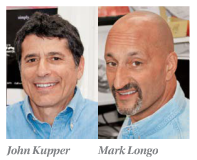 John Kupper of Express Dental Lab in Wethersfield, CT talks about his 3Shape D700 scanner and CAP’s services in an article in DLP. In this article about his rapid return on investment, Kupper tells us his personal experience in moving forward with implementing a scanner in his laboratory and how it has changed his business.